In a very competitive housing market, attempting to make your home standout from the rest is no easy job. Just trying to get qualified views can be an arduous task. When you do finally get your home ready for listing and those all-important showings, be sure that your home makes a great first impression. You have probably already checked off some basic maintenance items like leaky faucets, squeaky hinges, paint touch-ups and appliance servicing. 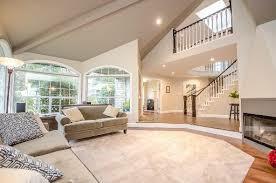 But also make sure that that first step in the door by a prospective buyer is an impressive one. Have your carpet professionally cleaned! A huge factor is odor and making sure that the air quality of your home is clean and pleasant is imperative. Be absolutely sure that mal-odors or scents from strong chemicals are absent as well as any evidence of the family pet(s). Many people today suffer from allergies and chemical sensitivities. Thorough steam-cleaning of rugs, carpets and upholstery to remove pet dander with chemical-free eco-friendly products is a must. The visual appearance of your carpeting (and upholstery) must also be blemish free. A skilled carpet cleaning technician can usually make your carpet look great and remove or substantially reduce any apparent spots and traffic patterns. Green Ingenuity can help you with this task. Our thorough but environmentally-friendly cleaning process will help get your carpet and your home looking and smelling its absolute best. Right now when you book our services at regular rates for packages over $ 250.00 we will do our very best to help your home show its best so it can sell quickly. And then, when you have moved and all of the furniture is out, we will return and re-clean all of the rooms we cleaned at 50% OFF. Contact us now to discuss your cleaning needs and receive a guaranteed firm price quote. Bookings are available at your convenience. Call 430-243-8420, email info@greeningenuity.ca or book on-line www.greeningenuity.ca.